From the author of the internationally bestselling classic THE READER, a tale of obsession, possession and a mystery painting. For decades the painting was believed to be lost. But, just as mysteriously as it disappeared, it reappears, an anonymous donation to a gallery in Sydney. The art world is stunned but so are the three men who loved the woman in the painting, the woman on the stairs. One by one they track her down to an isolated cottage in Australia. Here they must try to untangle the lies and betrayals of their shared past - but time is running out. 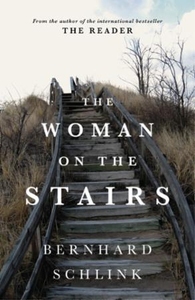 The Woman on the Stairs is an intricately-crafted, poignant and beguiling novel about creativity and love, about the effects of time passing and the regrets that haunt us all.